O ver the past fifteen years, racial profiling has been recognized as an issue of national, state, and local importance. Members of the public have increasingly questioned whether police officers target individuals based on their race, ethnicity, age, gender or membership in a protected class. Nationally, disparities found in traffic stops have come under scrutiny by the public, policymakers, and civil rights groups. Minority groups have historically expressed lower levels of trust and confidence in law enforcement. Conversely, while acknowledging that 'bad actors' do exist, law enforcement often feel as though legitimate police work can be mistakenly perceived as bias, or even overt racism. In accordance with changes to the Alvin W. Penn Racial Profiling Prohibition Act (Public Act 99-198) made by the Connecticut General Assembly in 2012 and 2013, statewide data collection on traffic stops began on October 1, 2013. During the first year of data collection, data from approximately 595,000 traffic stops was recorded. The data collected by Connecticut is the most detailed and comprehensive of any other state in the country. The analysis of that data by the Institute for Municipal and Regional Policy at Central Connecticut State University is the most sophisticated effort conducted on a statewide basis for all local police departments. R esearchers want to be able to test whether, holding other factors constant, the race and/or ethnicity of a motorist increases the probability that they are stopped by the police. AND it is impossible to obtain detailed enough data about the demographic makeup of the driving population to make any inference. 1. Considered the gold standard of clinical and laboratory research, participants are randomly assigned to treatment and control groups with participants unaware of their assigment. 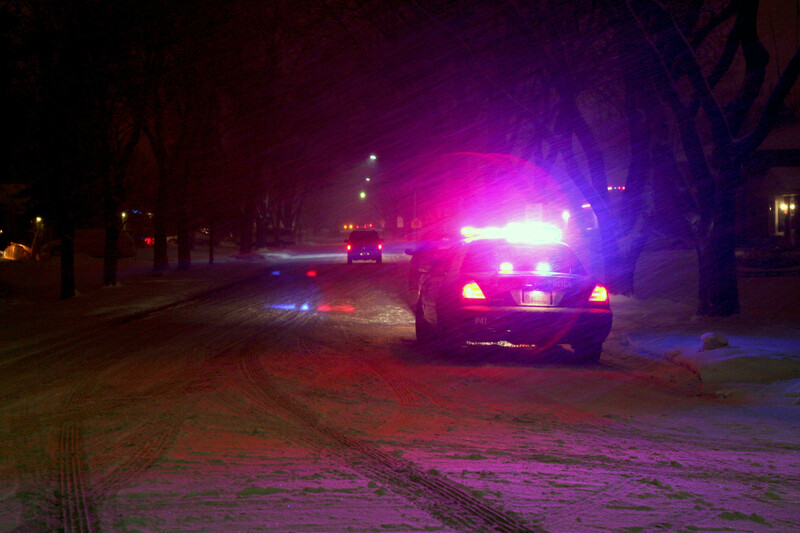 In a laboratory setting, randomized controlled experiments help scientists isolate cause and effect.1 The problem with creating a randomized control trial to test for racial bias in traffic stops is that it is both expensive and ethically troublesome. As a result, social scientists use research strategies that mimic the nature of a randomized control trail using data that are available. Is there a significant disparity between stops occurring during the day of minority drivers when compared to Caucasian drivers? 2. Natural experiments are empirical studies where factors outside the control of the researchers split the studied population into groups that resemble random assignment and thus allow researchers to control for certain conditions. 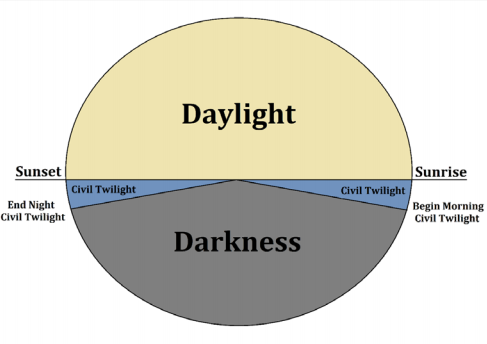 The inter-twilight period is the time from dawn to dusk; 6pm during the winter is dark and 6pm during the summer is light, and in general the driving population should remain constant. Therefore, stops during these two time periods should be constant if no profiling is occurring. Researchers wanted to compare times where the likelihood of the racial and ethnic driving population remained constant throughout the year. To do this they examined stops that occurred during the inter-twilight period (shown as civil twighlight in the figure). The results of the analysis provide a departmental average. The veil of darkness test provides no insight into the source of these disparities –specifically if particular officers are driving the results of whether they are the result of department-wide patterns. The test only identifies racial disparities that are large enough to affect the department level average. 3. Groton Town does include Groton City nor Groton Long Point departments. Troop C covers towns around I-84 in Tolland County and Troop H covers most of Hartford County including Cromwell. 4. By bias in the test, we mean there exists a possibility that unobserved factors that were not controlled for in the model could be skewing the results. In an effort to check for this, the researchers excluded equipment violation traffic stops assuming police officers are pulling motorists over due to a violation and would conceivably not be profiling based on race/ethnicity. For example, if minorities are more likely to have equipment violations the results would show evidence of racial bias when in fact it might not exist. When these stops are removed, Waterbury shows racial disparity across several minority groups, however, the sample size is small so it will be interesting to see if a disparity persists as more data is collected. Gray bar (represents the standard error) indicates that the TRUE coefficient could lie somewhere on the line. The circle size represents the sample size. As the sample size increases, the gray bar decreases and the confidence that the TRUE value of the coefficient was found. Sample size affects reliability. In statistical analysis, the larger the sample size, the better. This is due to the 'law of large numbers.' When a large number of random variables with the same mean are averaged together, the large values balance the small values and their sample average is close to their common mean. Granby has a small sample size so it will interesting to see if a disparity still persists as more traffic stop data are collected. Are the deviations from the observed data and expected data the result of chance (random) or are differences due to other factors (e.g. racial profiling)? The KPT Hit Rate calculates the probability of a stop resulting in a hit (finding contraband) across different racial groups which analyzes post-stop data. The KPT Hit Rate model (developed by Knowles, Persico, and Todd in 2001) assumes that in conducting vehicular searches, police maximize the likelihood of successfully finding contraband while drivers minimize their risk of getting caught. If motorists believe that they are more or less likely to be searched, they are assumed to change their behavior accordingly (carry contraband less or more frequently). The KPT Hit Rate model is a more controversial test. Critics take issue that it does not reflect the full range of possible discriminatory behavior by police officers such as the length of time drivers are subject to searches. In addition, researchers were unable to estimate the effect for many departments since the sample size was too small. More stops produce a more robust finding when running this analysis. As more traffic stop data is collected it will be important to rerun this test. One year of traffic stop data did not produce large enough sample sizes for majority of the departments in the state. The X and Y coordinate of a point represent the proportion of stops resulting in contraband being found (e.g. hits) by race/ethnicity subgroup for each department in the state. The dotted line expresses the hypothesis that hit rates across groups will be the same. Points above show the potential for racial bias. Points below show little to no evidence of racial bias. For most departments, points cluster around the expected equilibrium (represented by the dotted line in the figure). 5. Statistical Significance is a number that expresses the probability that a result of a given experiment or study was not due to chance. For example, a confidence level of 95% means the researcher is 95% confident the result did not occur by chance or due to a sampling error. 6. It should be noted that Waterbury has a small sample size so it will be interesting to see if results persist as the sample size grows. State Police Troop C, F and Waterbury have a statistically significant disparity in the hit rate across all demographic groups.6 The results in this analysis are significant at the 99% level. As previously mentioned, tests for taste-based discrimination are sensitive to the assumptions underlying the model. For example, in other states differences between gender and race of the officer have led to different observable biases. In addition, biases that exist in the aggregate might not exist when examined at a lower level of detail. Moreover, bias patterns can change overtime so might not exist in different time periods. However, the KPT hit rate analysis provides good supporting evidence when viewed in conjunction with other tests and as more data is collected further refinements can be made to the model improving the applicability of the test for determining policy actions. T he statistical evaluation of policing data is an important step towards developing a transparent dialogue between law enforcement and the public at large. The next step in the research by IMRP will be to examine whether individual officers are driving departmental disparities by looking at officer level data. The Collaborative’s mission is to advocate for open data, promote data standards, and make it accessible. We view accessibility as not only being a resource for data but also making the data understandable and relevant to the user. In this project we provide users access to the open data and will continue to provide quarterly updates as new data are released. By creating this data story we wanted to make the rigorous statistical analysis accessible to a broad audience. We’d love to hear your feedback and comments. This report was written by the Institute for Municipal and Regional Policy at Central Connecticut State University with the help of the Connecticut Economic Resource Center, Inc. (CERC). The authors from CERC applied the statistical tests known as the "Veil of Darkness," and "KPT Hit Rate."